The Machine Vision and Imaging Sciences exhibition (MVIS) will take place at Stoneleigh Park, UK, this year, on Wednesday 17 and Thursday 18 October. 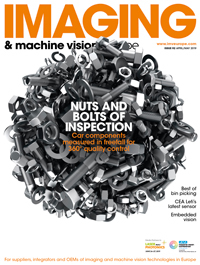 Previously known as Imaging Science, the new names highlights the increased presence of machine vision components at the event. Organisers expect the UK’s leading vision companies to present their equipment and services at the event. MVIS is part of the larger Photonex Exhibition at Stoneleigh Park, which will also showcase fibre optics, LEDS, sensors, and spectroscopy equipment.